If you have a Synology NAS system that’s failed on you, you’re probably looking into NAS data recovery. Network Attached Storage, or NAS, devices have proven to be massively useful to both individuals and businesses of all sizes. Your NAS contains data that you rely on every day. That’s why you have a NAS array in the first place; it allows flexibility and fast access for a relatively low price. When your Synology NAS fails, you can count on the Synology NAS data recovery experts at Gillware to help you back on your feet. If you have a failed Synology NAS, let Gillware help you get your important data back. 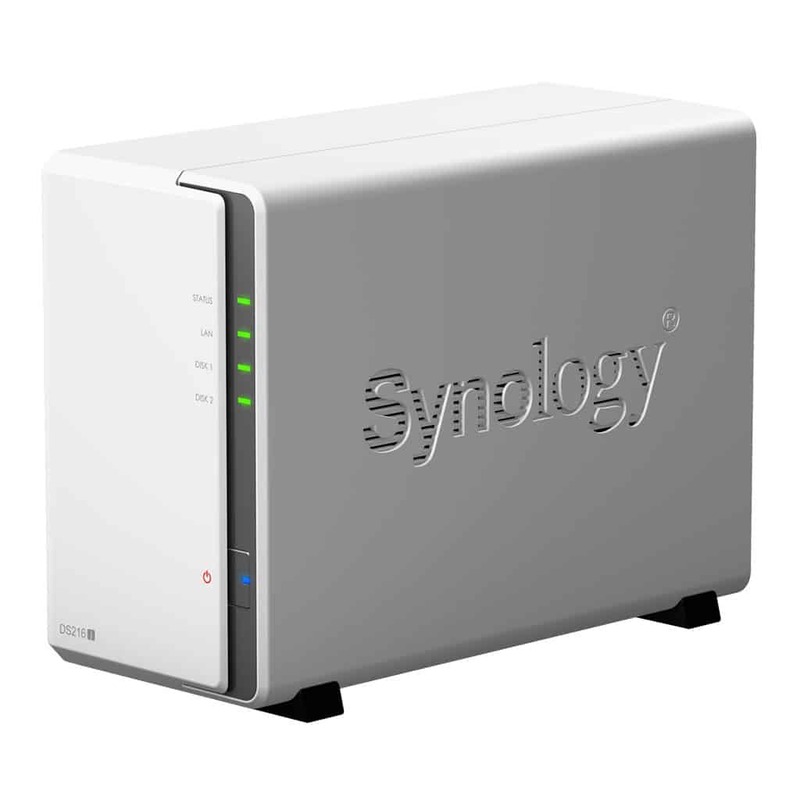 Synology NAS data storage can fail, especially used in ways that the manufacturer contraindicates. You may hot swap disks, which can, over time, damage either the disks or the hardware, itself, causing a critical failure. Then, your data NAS suddenly becomes unreadable and the status light is glowing orange with a warning. Maybe it’s beeping at you and you get a message saying hard disks are not present. Getting a message that there are no disks can be frustrating. Removing the disks from the cabinet and attaching them to a Windows machine will not work , because the disks aren’t formatted for Windows but a version of Linux. Even if you can connect the disks to a Linux system, there’s no guarantee you’ll be able to read them. What Kind of Synology NAS Storage Array Do You Have? Synology NAS data storage supports several RAID types, depending on how the NAS has been configured. Assuming the hard disk drives have failed, you will need to know how your NAS array was configured for complete NAS recovery. Some Synology volumes aren’t even RAID configured. Under no circumstances should you try to guess your Synology NAS’s RAID configuration. Synology Storage Pool Crashed or Degraded: What Do You Do? RAID-0 disks — usually for low end or consumer level NAS Arrays, they are usually two disks which provides faster access than a normal disk. RAID-1 disks — these are two disks where one is a clone of the other, providing backup should one fail. RAID-5 disks — these are multiple disks that provide fast access to data and provide enough redundancy so that data can be recovered if one disk fails. RAID-6 disks — these are multiple disks that provides fast access to data and has more redundancy than even RAID 5 disks. You can recover data if two disks fail. SHR — provides fast access to data. If there are two to three drives, there is enough redundancy to recover from one drive failure. If there are more than four drives, you can recover data from one to two failed drives. BASIC — one drive without redundancy. JBOD — more than one disk connected, acting as though it were a since volume. No redundancy if there is a failure. RAID-10 disks — these are multiple disks that provide fast access and cloning so that there is backup regardless of how many of the original disks fail. When you have a NAS array failure, the problem may lie within the disks, or the enclosure which houses and controls them. In some arrays such as RAId 5, RAID 6, SHR, or RAID 10, one of the hard disks will fail, but you can still access your data normally. This is called a “degraded” array. If a second or third disk fails, the NAS will fail completely, which is why the faulty disk needs to be replaced as soon as possible. If you need Synology NAS data recovery, you need it done by experts. Here at Gillware, we provide fast, affordable, and customer-friendly Synology NAS data recovery services. We offer our expert services with a financially risk-free guarantee. If we can’t get your data back, you don’t pay. Period. We offer free evaluations in our cleanroom lab, and even provide free inbound shipping. That way, you can be sure that we can recover your data and not waste your time or your money. Our NAS recovery experts work in an ISO-5 Class 100 certified cleanroom, to ensure there is no further damage to your equipment. We have SOC 2 Type II audited data recovery facilities which means you can put your trust in us to handle your data with the utmost care and discretion. Gillware’s data recovery experts can recover your data for you. Contact us today to get an estimate and arrange a free evaluation with our engineers.